According to the plumbing industry standard, you should have your commercial grease traps cleaned every 1-3 months, depending on how busy your restaurant is. But what does it mean to have them cleaned? Depending on which company you ask, you will get drastically different answers, with drastically different and sometimes damaging effects. An improperly cleaned commercial grease trap is one polyunsaturated fat cell away from a backup and overflow, leading you to being forced to shut down your restaurant to deal with the aftermath. A commercial grease trap works by collecting the wastewater from a restaurant’s kitchen and allowing the FOGs (the layer of fats and oils leak through into your pipes, where they will solidify and eventually lead to a whole-system backup) to rise to the top, the food solids to sink to the bottom, and the grey wastewater to take up the space in between. From there, the wastewater finds its way into the city sewers or your business’s septic system by flowing through a baffle and into the sewer line. There are generally two methods for cleaning commercial grease traps. One common method is to skim the FOGs off the surface, leaving the wastewater and food solids behind. While this method does reduce the amount of FOGs in your system, it leaves behind the wastewater and solids, requiring your system to have more frequent cleanings and significantly increasing your chances of a backup or overflow. Additionally, the food solids in the bottom of your grease trap will quickly become corrosive, which if left unchecked will drastically shorten the life of your grease trap. When you call Supeck Septic Services, we pump out the entirety of the contents of your commercial grease trap, including the FOGs, grey wastewater, and the food solids from the bottom of your tank. 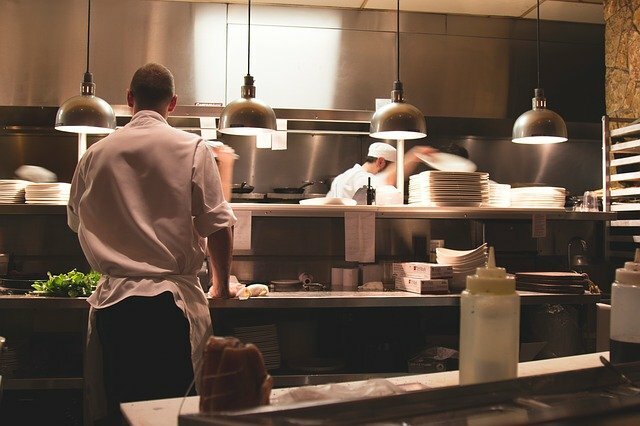 We also inspect and maintain your system, including the baffles, to help ensure your customers will continue to enjoy uninterrupted service at your restaurant. 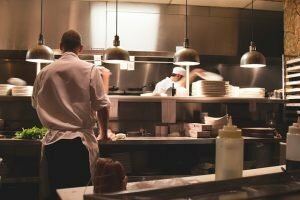 Companies not wanting to take on the responsibility of disposing of the added materials may suggest that an empty grease trap will produce unpleasant smells, but in truth, your grease trap will only be empty as long as it takes your kitchen to come to life for your restaurant’s next meal shift. Furthermore, completely emptying the grease traps allows you more time between cleanings and helps you avoid the costly expense of sewer line cleaning that goes along with an overflowing grease trap. Interested in learning more about Supeck’s commercial grease trap cleaning methods or want to hear about our maintenance plan that will help meet your business’s individual needs?